TM1637 is a chip for driving 7-segment displays. 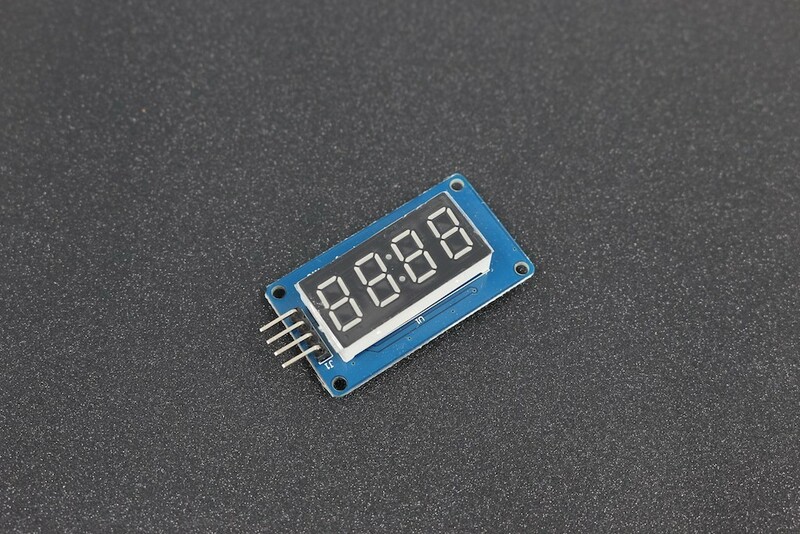 There are several modules using this chip to form a 4 digit numerical display module. TM1637 has also keyboard input capability, but is not used in this module. This 12-button keypad provides a useful human interface component for microcontroller projects. Co..
A stepper motor is an electromechanical device which converts electrical pulses into discrete mechan.. This product is a 1-channel relay module board with LED indicators; it can be controlled by microco.. This is a 5x2 line pin header in a box package. Notch marking is for pin 1. It can be directly sol.. These precision gear motors are incredibly tough and feature full metal gears to help you drive wh..
LEDs - those blinky things. 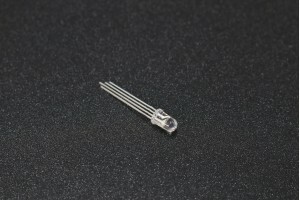 A must have for power indication, pin status, opto-electronic sensors,.. These are very bright LEDs. The LEDs are so bright that it hurts to look directly at them. Please ..
Specifications· SPDT 3A 250VAC/6A 125V · ..
Specifications· Nominal Voltage: 12V· &.. This board decodes DTMF signal either from an audio source or phone line to 4 bit binary TTL (5V) ..